Well, both of our doctors are certified “RockDocs” and are more than happy to sit down and explain how RockTape works to stabilize joints, stimulate the body’s natural inflammatory response and increase proprioceptive feedback. Muscular patterns can become dysfunctional, particularly as our joints degenerate or are having problems tracking properly. Stimulating mechanoreceptors in the skin allows proper movement patterns to occur, pain to decrease and overall levels of chronic inflammation to diminish. 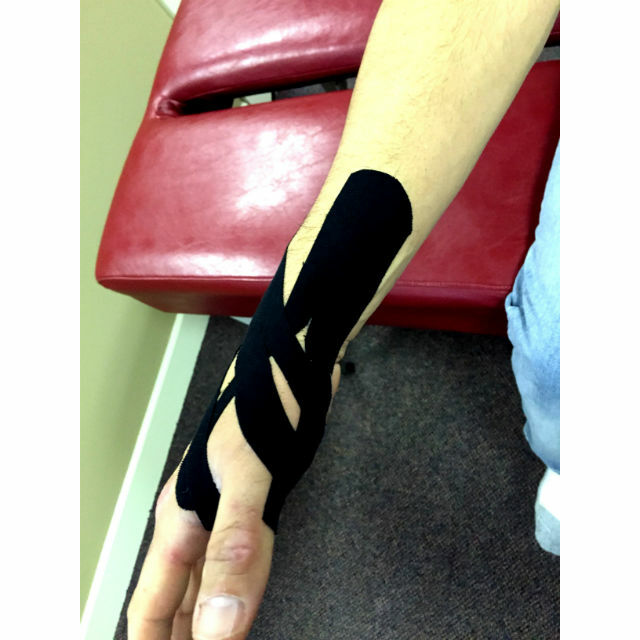 Our doctors can also use RockTape to aid in reducing swelling and edema from traumatic injury. Conditions that may be helped by kinesiology taping include ankle sprains, plantar fasciitis, golfer or tennis elbow. This is by no means an all inclusive list though, so come in today and ask how they can help get you back to doing the things you love!